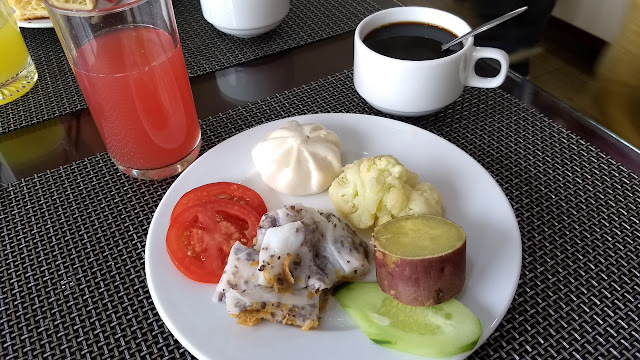 Some of our hotel stays included breakfast. Generally the options ranged from standard Western fare to decidedly un-Western options. 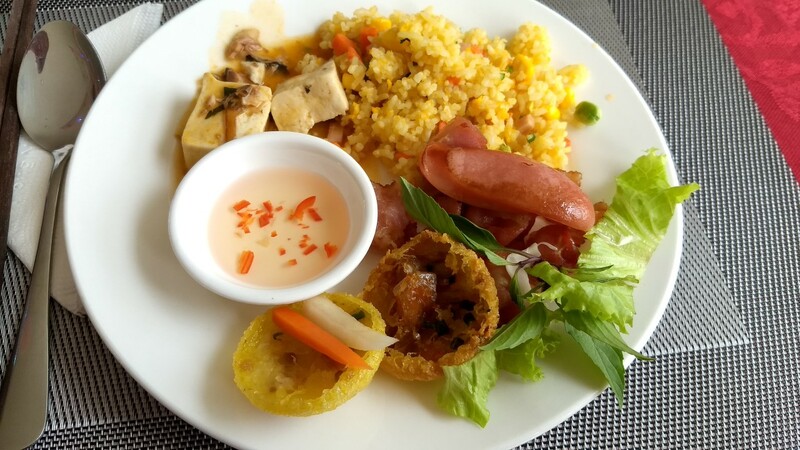 Here are some of the latter. 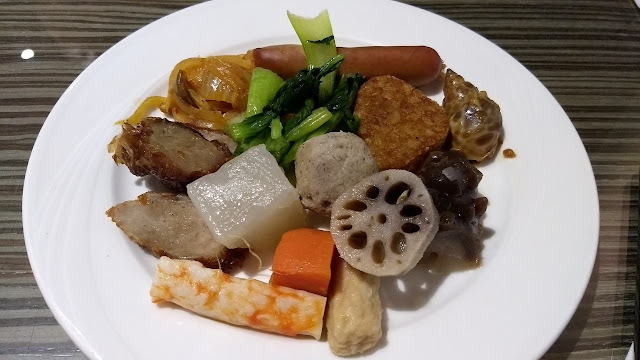 Our hotel in Taipei had a buffet breakfast that usually included some interesting options. The "good stuff" was often picked over by the time we got there, but we managed to do ok for ourselves. 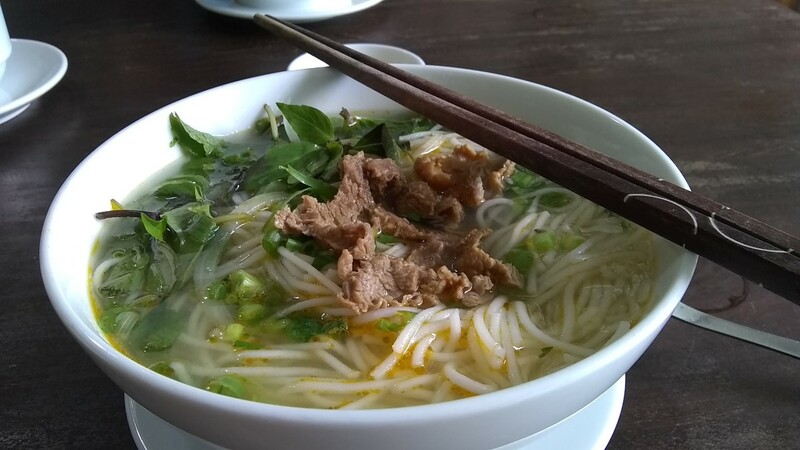 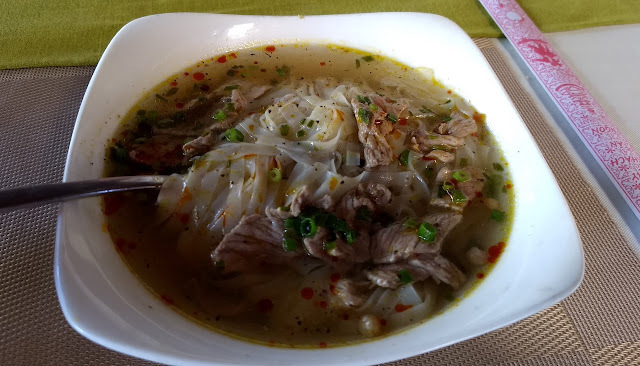 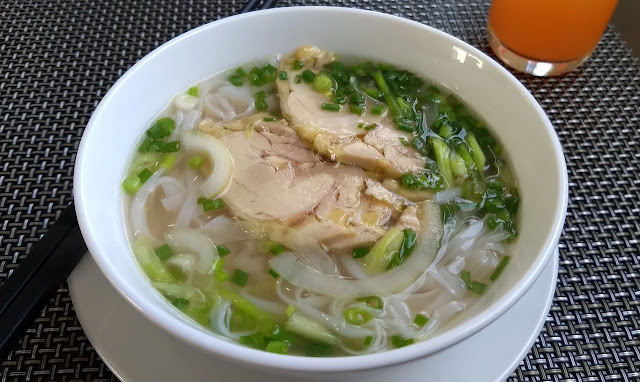 In Hanoi, pho was always available. 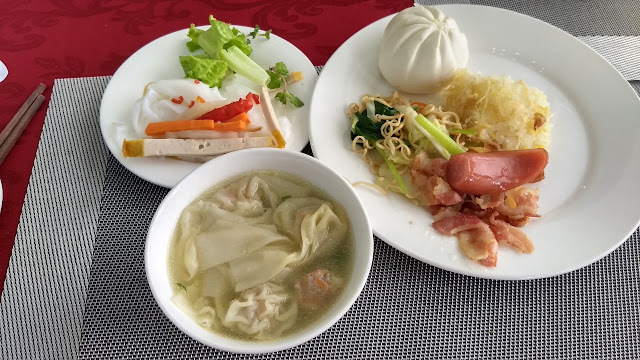 In Da Nang there was a buffet with all sorts of options. 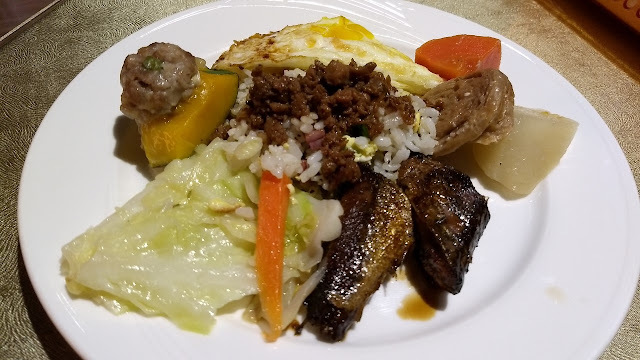 Nothing was particularly amazing, but the variety was fun. 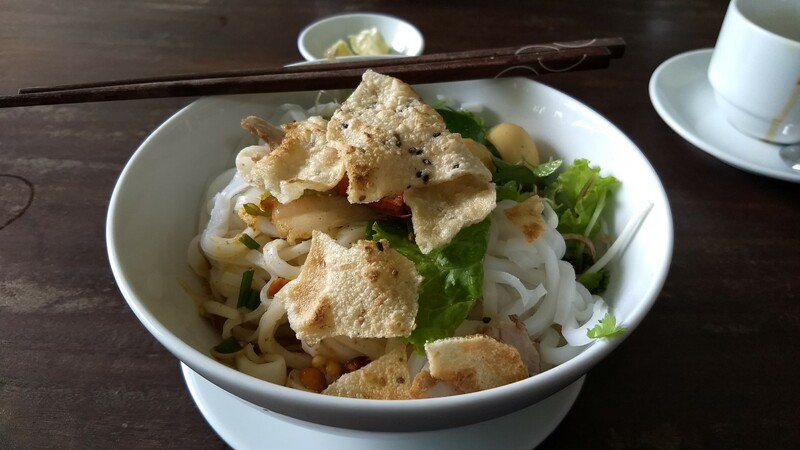 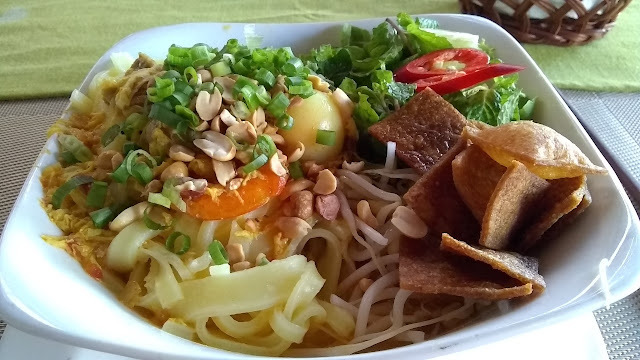 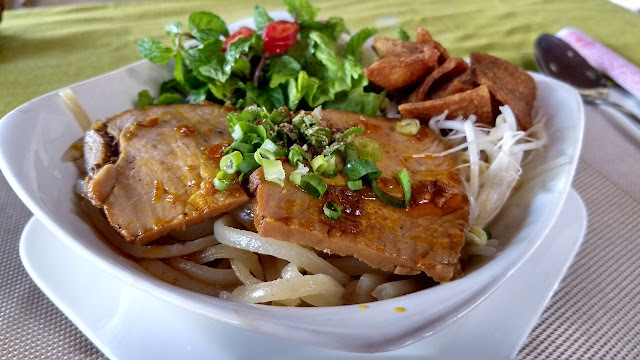 And Mì Quảng - good, but it didn't make us forget about the fantastic version at Ông Hai. 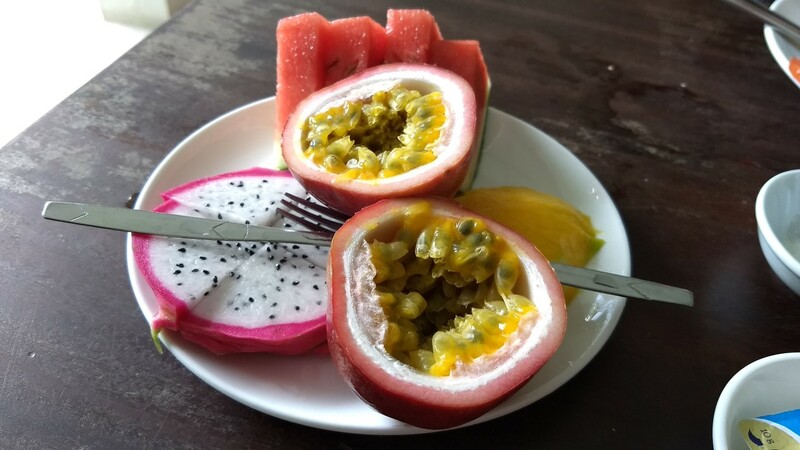 They also always had a very nice plate of fresh fruit.